This is a rectangular H.W. Kimball Coal porcelain sign. This particular H.W. 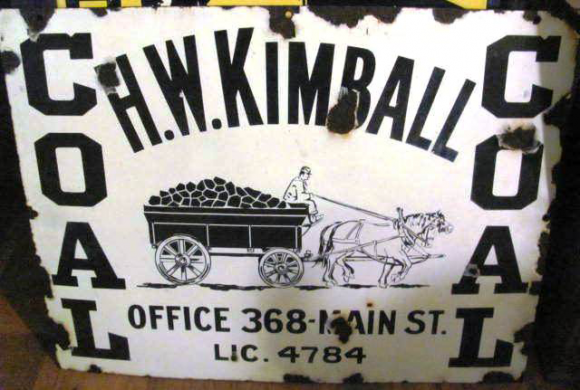 Kimball Coal sign is white with black print. It reads, “H.W. Kimball Coal, Office 368-Main St., Lic. 4784” and features a horse draw cart of coal in the center.